If you're looking for near-studio quality headphones that won’t break the bank, then you owe it to yourself to check out the V1’s from Culture Audio. 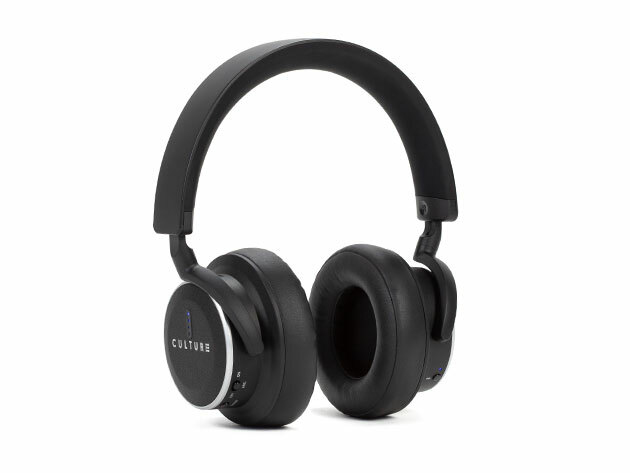 On sale for only $135, these headphones offer an immersive listening experience with top-grade features that cost way less than other name-brand models. Culture Audio V1’s provide everything you could need in a set of headphones and nothing that you don’t. They feature 40mm neodymium speakers for exceptional audio, which is only complemented by their best-in-class 98% active noise cancellation. Perhaps the best part of the V1’s is just how versatile they are. Pair them to practically any Bluetooth device to listen to music, watch TV shows and movies, participate in phone calls, and more. If it produces a sound, Culture Audio can help you to appreciate it more. And, if you work in a busy office, you can even put them on to simply drown out the din of your coworkers, so you'll get more done. Why invest hundreds in a set of headphones when you can get these ones for so much less? Pick up a set of Culture Audio V1 noise cancelling Bluetooth headphones today for just $135, a savings of 32% off the MSRP.